Privately owned security company in Manchester. The security and facilities management services offered by the company are available to Manchester, Bolton, Greater Manchester and surrounding areas. Firstly, we have a proven track record of providing high quality, bespoke, flexible, cost-effective manpower and technology solutions. The scope of our client base ranges from large corporations to small local businesses. Our security company in Manchester offers a variety of services. From manned guarding services to guard dogs, bodyguards to mobile patrols and much more! 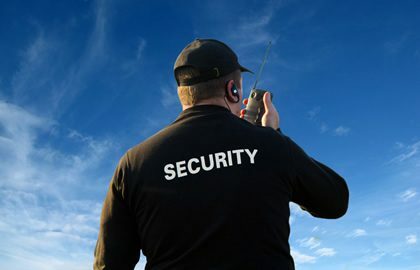 Furthermore, SFM have a lot of experience for the supply of services within the Security Guard and Security Services industry in Manchester. In addition the company also provides a full facilities management service. This includes; commercial property maintenance contracts, cleaning services, pest control and refurbishments in the Greater Manchester area and beyond. If you would like to discover more about SFM and our Security Company in Manchester at their best, please feel free to contact a member of our team at any time. Lastly, we would welcome the opportunity to develop our professional relationship further in the future.